Over on the Friday Mashup today, the challenge was to create a shaker card with an animal. The Owl Punch is still one of my favorite punches, so out he popped for a cameo appearance on this birthday card, along with a sentiment from the Good Greetings stamp set, which you can get FREE when you host a qualifying party before October 31st ! Holiday Catalog 2014: Make it FUN! How fun! Your owl makes me smile, peeing out like that with his party hat on! Great job mashing up the challenge! So super cute! 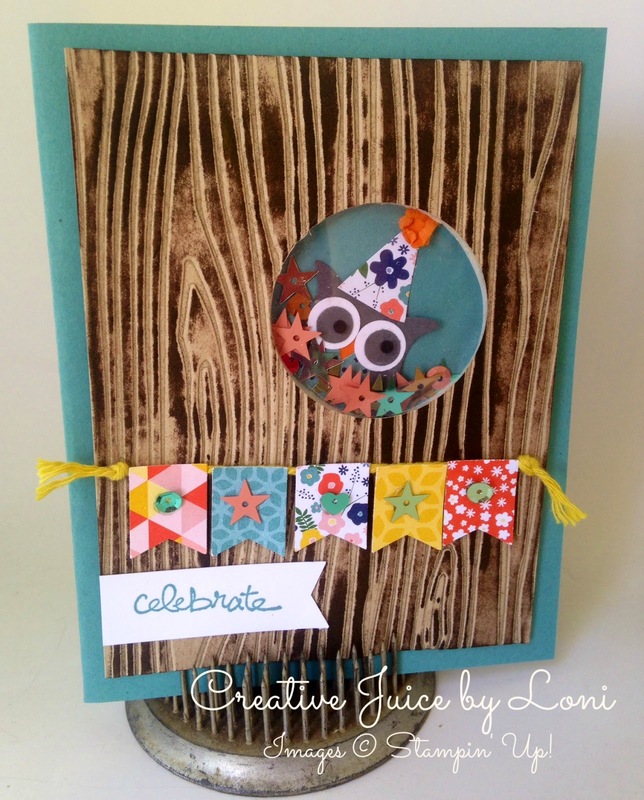 I love that little shaker owl and that wonderfully fun bunting. Great mashup! 🙂 Thanks for sharing with us at The Friday Mashup this week.